The investigation, dubbed Project Belair, stems from an incident at the Peace Bridge on Oct. 31. 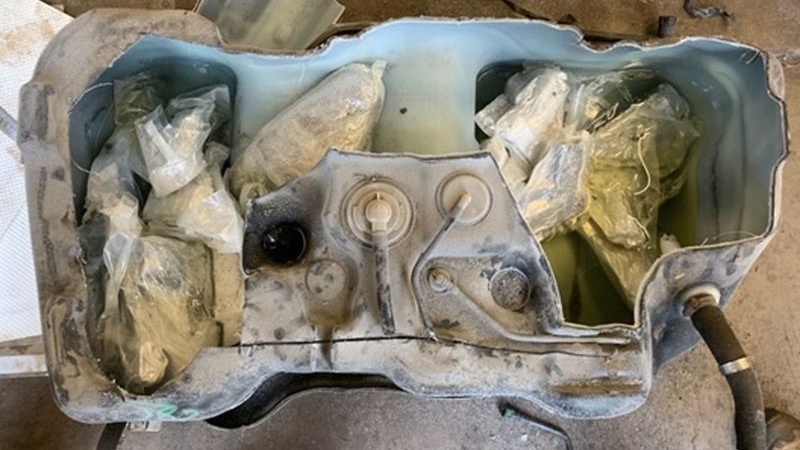 As first reported by CTV News Toronto, officers with Canada Border Services Agency (CBSA) discovered 25 handguns inside the gas tank of a rented Nissan Rouge that attempted to cross the border. “These 25 handguns, as you can imagine, were so well concealed it was only through exhaustive efforts that they were eventually located in the gas tank and seized,” Acting Insp. Don Belanger said. The female driver, the lone occupant of the vehicle, was taken into custody. The next day, police executed 13 search warrants in Toronto, Brampton and Ajax. Though recreational cannabis came legal in Canada last month, the quantity seized well exceeds legal amounts, Belanger noted. 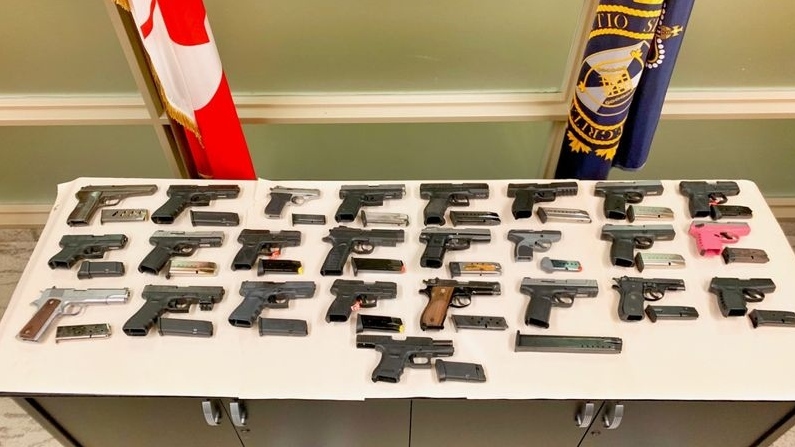 Three suspects, identified as 52-year-old Alan Cunningham, of Brampton, 41-year-old William Datta, of Ajax, and 52-year-old Colin Levy, of Brampton, have all been charged with a slew of gun and drug trafficking offences. The woman alleged to be involved in the Peace Bridge incident, identified as 50-year-old Rima Mansour, of Toronto, is facing 25 counts of importing illegal firearms, among other charges. Mansour had no connection to police prior to this incident. “I think we’ve effectively dismantled one firearm importation ring, I’m confident in that,” Belanger said. While investigators are in the process of tracing the origins of the firearms – as all but one still contain a serial number – police believe they came from the United States, particularly Florida and Georgia. “What we’re alleging is that lawful gun owners in the states are purchasing handguns for as much as $300 to $500, having them smuggled across the border and then selling them here,” Belanger said. The total street value of the 30 guns seized exceeds $100,000. But Belanger doesn’t believe the operation is as sophisticated as it may seem. “I can only speculate it was their first time (smuggling),” Belanger said. 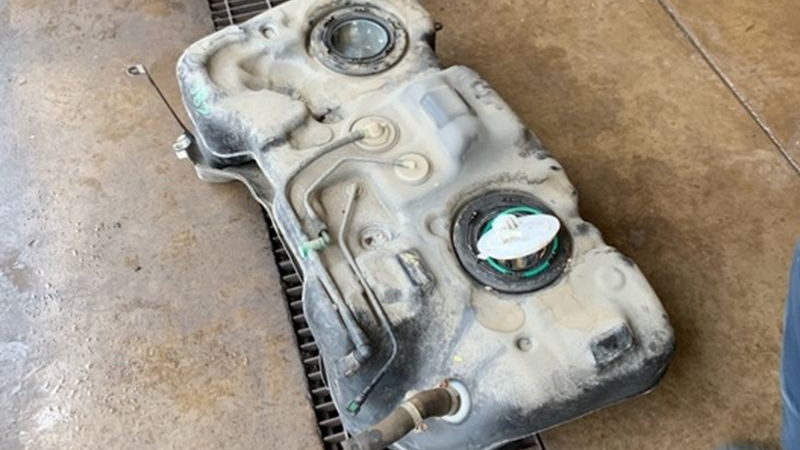 The mechanic hired by the CBSA to help dismantle the gas tank told CTV News Toronto that officers were able to see the guns through x-ray equipment. When asked whether police knew whether they knew the destination of the guns, or whether the four accused were linked to known gangs, Belanger said that part of the investigation was ongoing. “It’s interesting when you see the ages of the accused. These aren’t young people, these are people in their 40s and 50s who are funneling guns to criminal street gangs,” Belanger said. The investigation was a collaborative effort and was done in partnership with the U.S. Bureau of Alcohol Tobacco and Firearms and the CBSA. “Are we seeing that there are more and more guns beamed in? I think that is the case,” Deputy Chief James Ramer said at the news conference Wednesday.